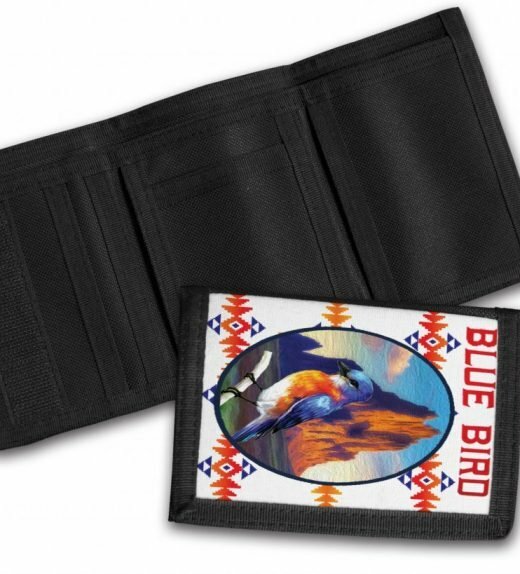 The wallet has a image imprinted with the artwork titled “Blue Bird in Shiprock.” The wallet can be used for bills. Pockets are available for cards. 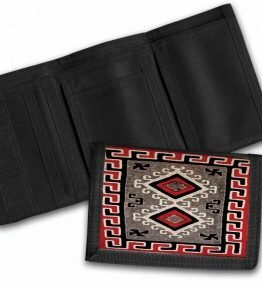 The wallet folds in three sections. 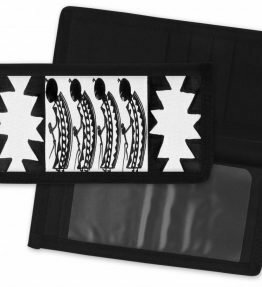 The wallet is secured with velcro strap.